What if you could help assure that your child will grow up to be not only successful, but also a truly good person who will make a real difference in the world? 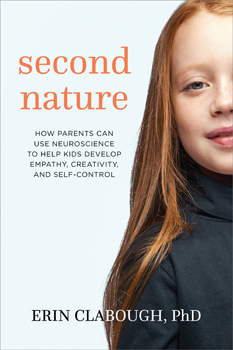 Based on key insights into childhood brain development, neuroscientist and mother Dr. Erin Clabough shows parents how. To really thrive as adults, Dr. Clabough says, children need to learn three essential and interconnected skills: empathy, creativity, and self-control. The lack of even one of these, she explains, underlies nearly all of the problems that parents and children face. The good news is that these strengths can be learned. This groundbreaking and practical guide teaches us how to help children of any age to develop these gifts as second-nature habits, supporting lifelong independence, success, and happiness.